St John’s responds to our call to go into the all the world by partnering in life-giving ways with missionaries in South Sudan, Guatemala, and Bethlehem. Sudan Rowan is a 501c nonprofit founded in 2007 in Salisbury, NC, at St. John’s Lutheran Church. Sudan Rowan is an ecumenical Rowan County-based coalition that joins hands with South Sudanese partners in efforts to achieve peace and education. 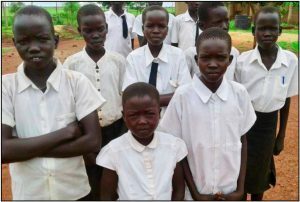 In 2010, Sudan Rowan began a project called “Raising South Sudan” in collaboration with former Lost Boys of Sudan and Charlotte-based 501c3 nonprofit Mothering Across Continents. Together, we serve communities in Ruweng State, South Sudan, an area greatly affected by years of civil war between what is today the country of Sudan to the north and the independent country of South Sudan. With past support from St. John’s Lutheran and other local foundations, we’ve made great progress in South Sudan, which is designated as the world’s most fragile country. The new nation of South Sudan continues to struggle with famine, tribal unrest, and limited educational opportunities. Many of the people in South Sudan say they crave spiritual renewal in order to overcome the many challenges they face on a daily basis. 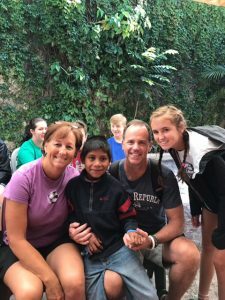 La Escuela Integrada is a school that is changing lives in Guatemala. The country of Guatemala does not have a public school system. Therefore, if you do not have money to send your children to school, your children do not attend school. This has led to a cycle of generational poverty and illiteracy throughout the country. To provide medical and dental assistance to each child who attends the school (and all of their family members) so that each family member is healthy and able to learn and function in society. We partner through academic scholarships, providing clothing and supplies and work trips to share the love of Christ. Check out more at www.wearegraces.org. 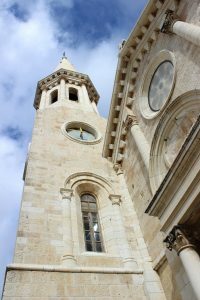 Our mission partner, Dr. Mitri Raheb, is pastor of Christmas Lutheran Church in Bethlehem, one of the few Christian churches remaining in Bethlehem. His congregation, only a few feet from where Christ was born, seeks to share the Good News with the surrounding Palestinian population. Contact Mike Connor.